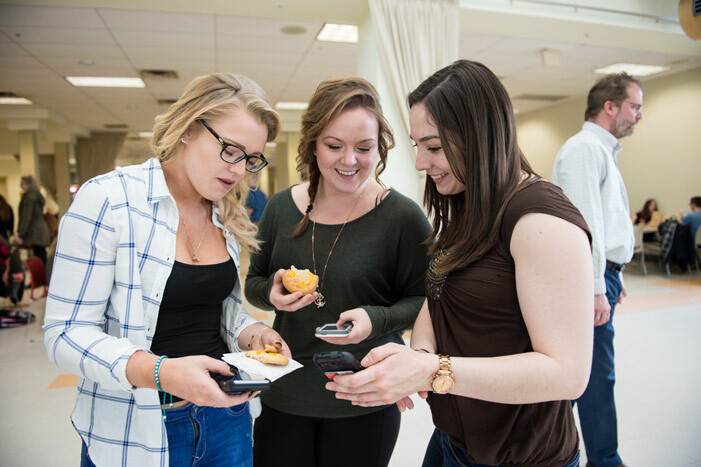 Students from eight Atlantic Canadian universities are set to take part in the 2nd Annual MoodCheck Challenge. From March 20 to the 24, students are encouraged to sign up and track their mood using the MoodCheck app. “At Counselling Services, we work to help students understand how their environment and behavior impact their mental wellbeing,” says Matt MacLean, mental health strategist with UNB’s Counselling Services. The app prompts users to check in with themselves twice-a-day at random times. Students can enter their mood, the activity they are engaged in, where they are and who they are with. The challenge is an opportunity to motivate students to be mindful about how what they do affects the way they feel as increased awareness can be a strong predictor of improved mental health and well-being. Each check-in is an opportunity to earn points and users can earn bonus points if they check-in more frequently. The university with the most participation will win $1,000 towards a mental health initiative on campus. The MoodCheck app is part of WellTrack, a self-help interactive therapy platform developed by Dr. Darren Piercey, professor of psychology at University of New Brunswick. WellTrack offers online tools and resources aimed at helping students manage stress, anxiety and depression.